I’m not going to tag anyone, but I will answer the questions from Chiara. Feel free to answer any of these in the comments! 1) What made you start book blogging? I used to be in an online book club, so I started the blog with a fellow member (and some other members helped out too). We actually focused more on music at first, but it didn’t take long before we added in books! 2) What’s the last five star book you read? Saga Vol. 6 and Noble Hops by Layla Reyne. 3) What did you want to be when you were five years old? Oh gosh, I’m not sure. Probably a teacher. I feel like I had that written down a lot on past school assignments growing up. 6) If you had to give a presentation on any topic what would you give it on? I’ve given presentations on all sorts of things, but I always love talking about books, so I’d go with that. Maybe YA books that adults should read? Or vice versa, Adult books that teens should read? 7) You can interview any (living) author in the world. Who do you interview? I mean, I kind of have to say J.K. Rowling. The Harry Potter series really were a huge part of my childhood and it would be amazing to just meet her, let alone interview her! 8) If you could see any book turned into a perfect adaptation which book would you want it to be? I think Vicious or the Shades of Magic trilogy by V.E. Schwab would be awesome movies if done well! 9) What’s a TV show that got cancelled that you wish had gone on for longer? A lot of shows I’ve loved have been canceled after one season. The most recent is Kevin (Probably) Saves the World. I loved that show! 10) What’s an upcoming book you’re really looking forward to reading? There are always tons of books that I want to read; it’s tough to choose just one. However, I am really excited about The Bookish Life of Nina Hill which comes out on July 9th of this year. Things were simpler when I was a kid. When I was 5, I played house a lot, so I guess I wanted to be a housewife. Ha! The new Waxman book looks really good. Hope we both get to read it. 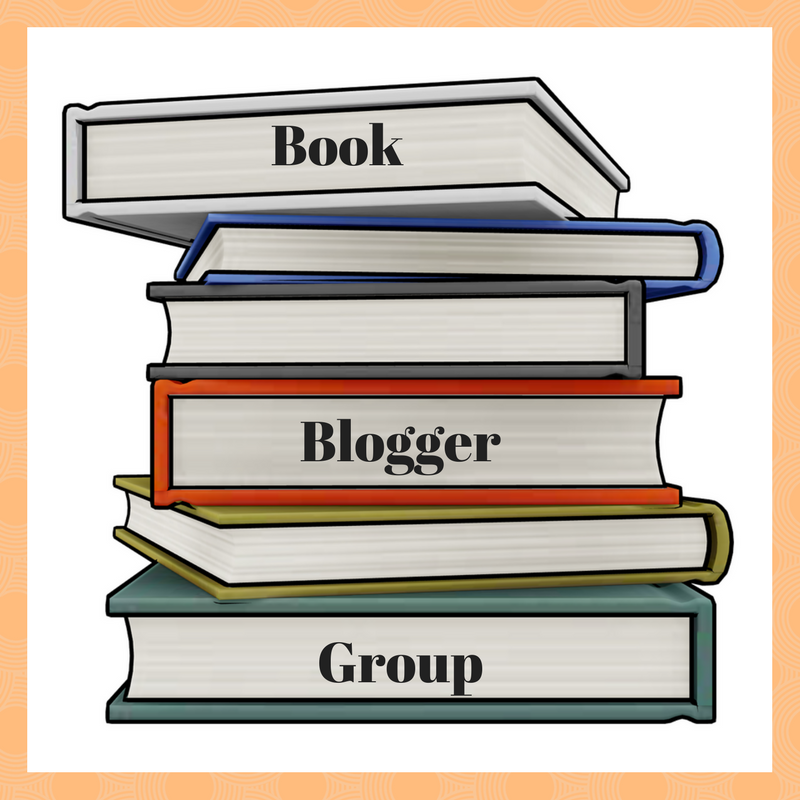 I didn’t realize you’d started this blog with friends from an online book club. How fun! Oh wow, I would love to see Vicious adapted for the big screen. That could be amazing! Great idea to choose JK Rowling as an author to interview. She’s such a genius! I am looking forward to The Bookish Life as well, hopefully it will be a fun one. Oh gosh if I could only save five books?? I would definitley grab Gone With the Wind and 11-22-63 and then I don’t know…. I think I would cheat and grab my Kindle. I guessed it would be Harry Potter that you saved. I think my 11 year old would do the same! I wanted to be a teacher too! I used to play teacher in front of all my stuffed toys. LOL. If you could see any book turned into a perfect adaptation which book would you want it to be? I guess it would be The Farm by Tom Rob Smith, I think this would make a great film if done right! I agree boxed sets should totally count in that 5..now carrying them may be another problem. It was great getting to know you better and know your likes and dislikes what your interested in. For me, I’d love to see them do Vampire Academy justice. The movie that came out was awful and didn’t represent the characters or their story at all. Love this! I say HP counts as one. I have a few versions of Alice in Wonderland that I’d save. LOL. I need to see The Lunar Chronicles become a TV show or movie. And I’m sad that Pan Am went off the air as fast as it did! Firefly, too! Fun questions and answers! Saving only five books would be hard! I love that you included the one you are currently reading though, makes sense, gotta finish it! This was so fun to read! I love that you said you’d grab the book you’re currently reading–I feel the same way. I have to finish it! Would it be cheating to say I’d take my Kindle? Ha! Great post! Potter would be a few of my answers as well. I mean who doesn’t adore Potter with their whole heart and soul? I love this tag so much! 🙂 Great answers!! Great article, nice to read. I love these Q&As! I haven’t read a five-star book since I read Neil Gaiman’s Stardust in November. I’m hoping to have one or two in the next few weeks though. J.K. Rowling would be an interesting interview. I’d tune in for that! I don’t know what books I’d save. I’ve reached a point where if it’s on my book physical bookshelf, it’s there for a reason (aka I LOVE it).